Hayden Street shows off his trophy while out with Two Bug! It’s game on here folks, as a solid batch of new fish have entered the river during the last storm session. 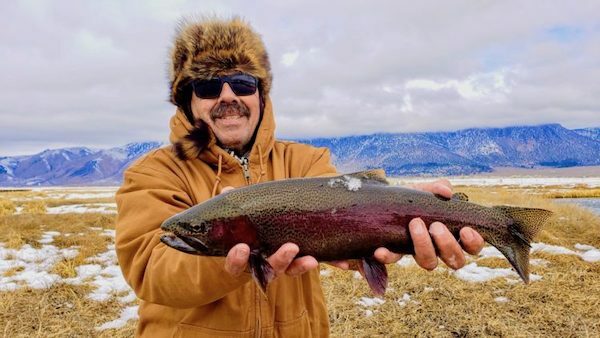 Couple this with another big storm arriving this week and we have the making for some epic winter trophy rainbow fishing. 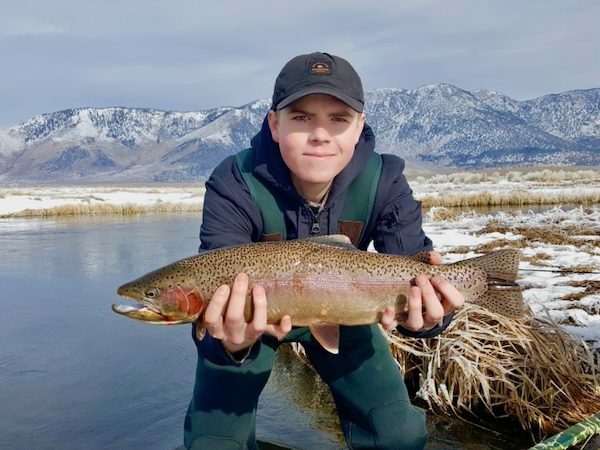 There are still some big browns being caught in the pool sections as well. 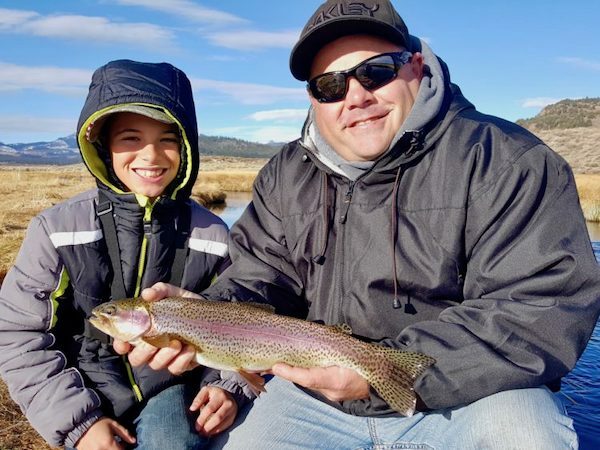 It has been solid action on these big fish for the past couple of weeks. It may be time to drop the snowmobiles on the river after this next storm cell rolls through. This should in turn keep more of the angling pressure off the river. The section from the Benton Crossing Bridge down to the fishing monument is now closed. Flows are now at 87 cfs. Crystal eggs, #14-16 San Juan worm red, #14-16 Level Crystal Leeches, #14-16 Parallel Assassin Dark and Light, and #16 Broken Back Copper Tiger Midge getting the most bites! 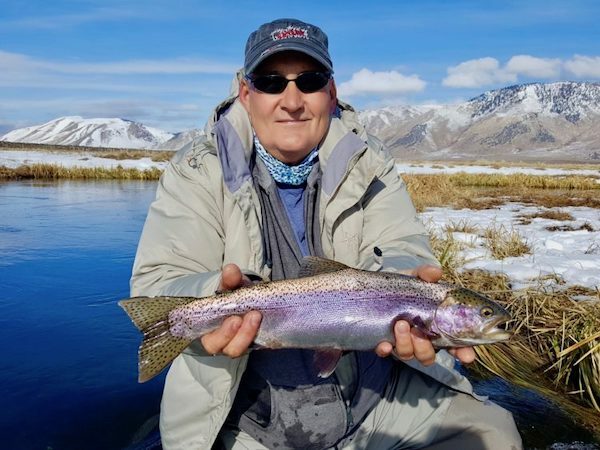 Ron with another gem from a frigid morning! Kelly Liebhart got into some great ones too! 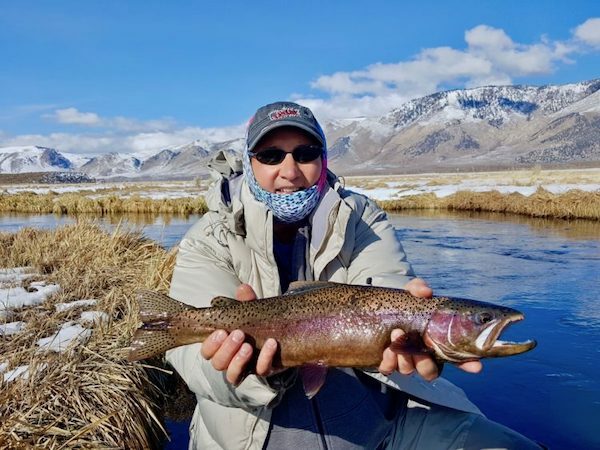 Sierra Drifters guides fly fishers on Upper Owens River near Mammoth Lakes, CA for trophy rainbow, brown, & cutthroat trout. 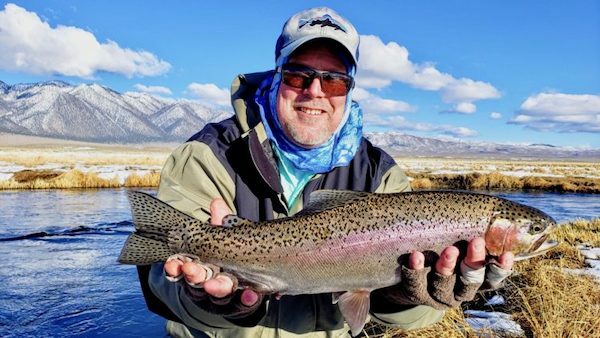 Rick Radtke got into them good with Two Bug Doug! 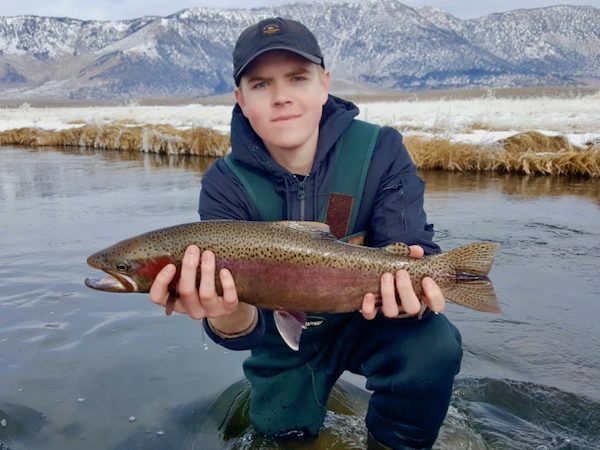 Walker River - East Fork (CA): Still Going Pretty Solid Here in the Deepest Sections of the River.